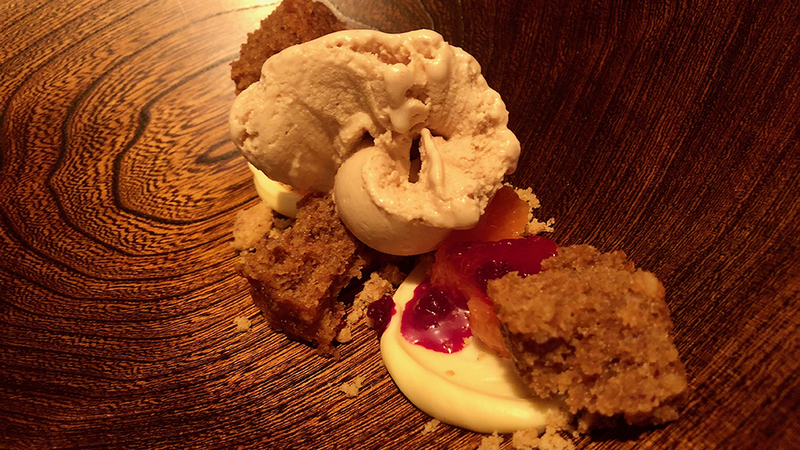 This recent dinner at SingleThread was one of the most remarkable meals I have had in a very long time. From the moment we arrived to the moment we left, everything was simply perfect. Fabulous food, a welcoming atmosphere and first-class service make SingleThread a must for readers visiting Northern California wine country. Husband and wife team Kyle and Katina Connaughton run SingleThread, an intimate restaurant/hotel complex in Healdsburg with a five acre farm located just a few miles away. 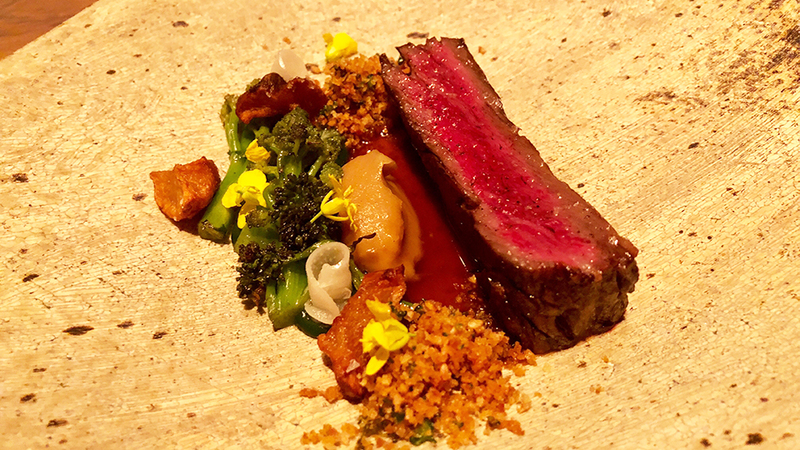 Kyle Connaughton’s resumé includes a stint as Head Chef of Research and Development for Heston Blumenthal’s Fat Duck Experimental Kitchen and several years cooking in Japan, while Katina’s background in agriculture and horticulture led to numerous experiences in Japan, England and California. Together, they are a formidable couple. She farms, he cooks, and it all comes together beautifully at the dinner table, as the hours melt away with no sense of time passing. Healdsburg’s town square is one of the quaintest spots in Sonoma. Tasting rooms, shops and restaurants adorn the storefronts. Most of the time, I pass by quickly between appointments. David Ramey, Arnot Roberts and Ceritas are all quite close, while numerous wineries, including Copain, Rochioli and many others, are just a short drive away. On this afternoon, it’s nice to take a little time to enjoy the square before walking to SingleThread, which is just north of the square. We are a little early getting into Healdsburg, so we head over to Campo Fina for a beer on the patio first. That leads to a quick pizza. Having skipped lunch, I am absolutely famished. I am reminded of the dinners I used to have with Bob Parker. Bob would order more pizzas for appetizers than most people eat in a week…and that was before dinner! There are no such excesses on this night. SingleThread’s cozy reception area is immediately welcoming. We start with a cup of tea at a counter that looks into the kitchen that is buzzing with energy. After a few minutes we are escorted to our table, where a dazzling array of small raw fish plates awaits. It is a stunning presentation. 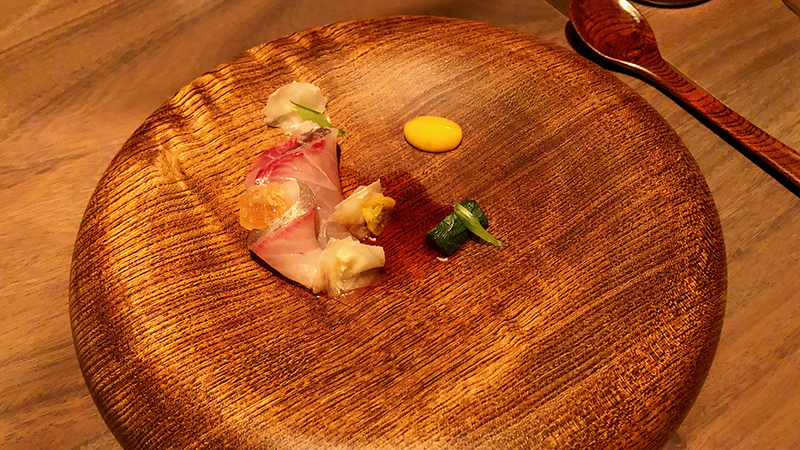 A rainbow of colors from the fish, sauces, garnishes and various dishes provides a captivating contrast to the nakedness of the bare wood tabletop. 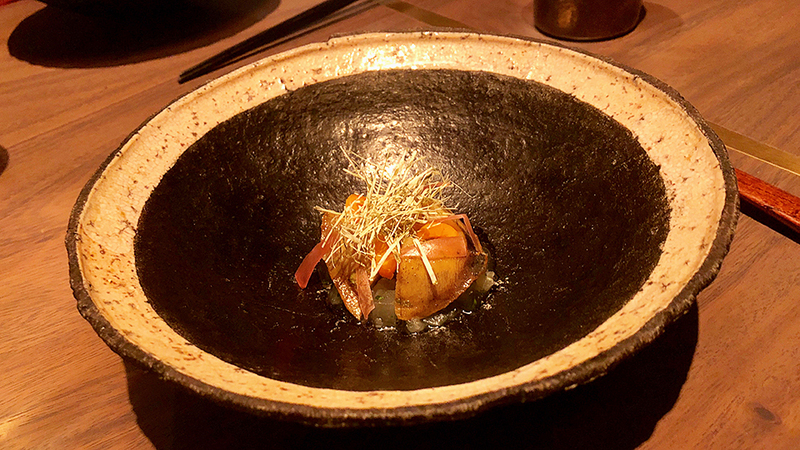 What follows is a succession of small plates, many of them fish courses, with distinct Japanese influences that are clearly drawn from the Connaughtons’ life experiences. 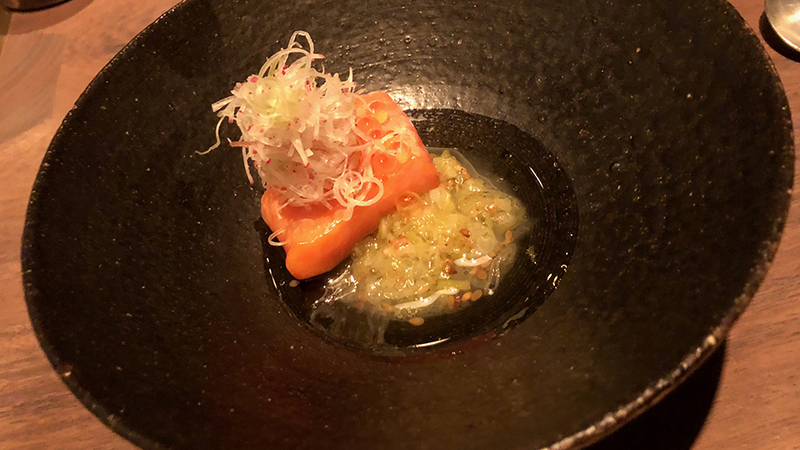 Every dish is terrific, but a few really stand out, including the Ora King Salmon and Black Cod. 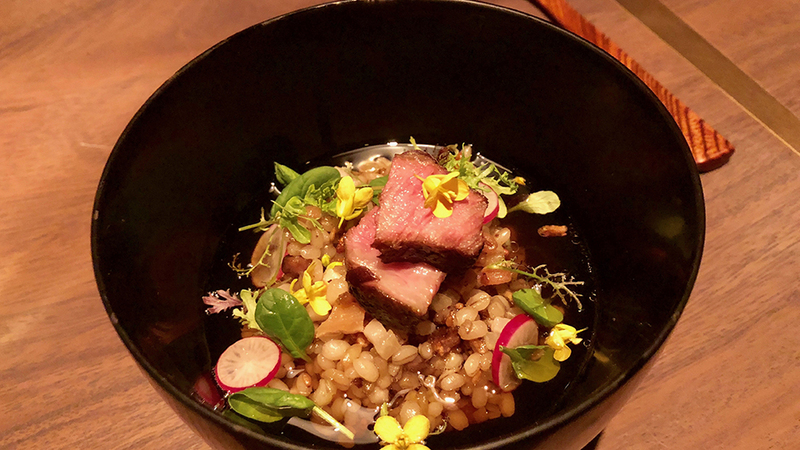 I also adore the American Wagyu, which is served in two courses; the first a fairly traditional steak and the second a sublime preparation of the short ribs in a broth with grains and pickled vegetables. Personally, I very much enjoy drinking red wine with fish, but I imagine some diners might find the menu, at least this menu, a bit fish-heavy. The desserts are sublime. I especially love the Pecan Ice Cream. The wine list is extensive, as one would expect at this level. Burgundy and Sonoma, along with Germany and Austria, are heavily featured. Diners can also choose a paired selection of wines. We do a little of both, but mostly put ourselves in the very capable hands of Wine Director Evan Hufford. One wine I spot right away and absolutely have to have is the 2014 Trout Gulch Chardonnay from Ceritas. The 2014 is just as focused and pure as I remember it, with all of the energy that makes this Santa Cruz Mountains site so special. It is fun to taste this sublime Santa Cruz Mountains Chardonnay a few days before heading into the region. I love research. Hans Jörg Rebholz’s 2012 Riesling Kastanienbusch is fabulous. I absolutely adore Rebholz’s wines, but I rarely get a chance to drink them. The 2012 is beautifully textured, enveloping and totally alluring, with a captivating interplay of richness and minerality. A pairing of Rosés is an unexpected twist from Evan Hufford and his team. I often enjoy drinking Champagne in the middle of dinner because it keeps the palate fresh, and of course, Champagne is such a food-friendly wine. The 2012 Caraccioli Brut Rosé, from the Santa Lucia Highlands, is a wine I have never tasted before. Rich, vinous and beautifully textured, it is absolutely fabulous. Although I never think about wine as a competition, there is no question the Caraccioli shows better on this night than the much more famous NV Egly-Ouriet Rosé. In this pairing, the Caraccioli is more generous than the leaner, focused Egly. Both are terrific, but I prefer the Caraccioli, especially with the food. The 1970 Ridge Zinfandel Geyserville is absolutely delicious. 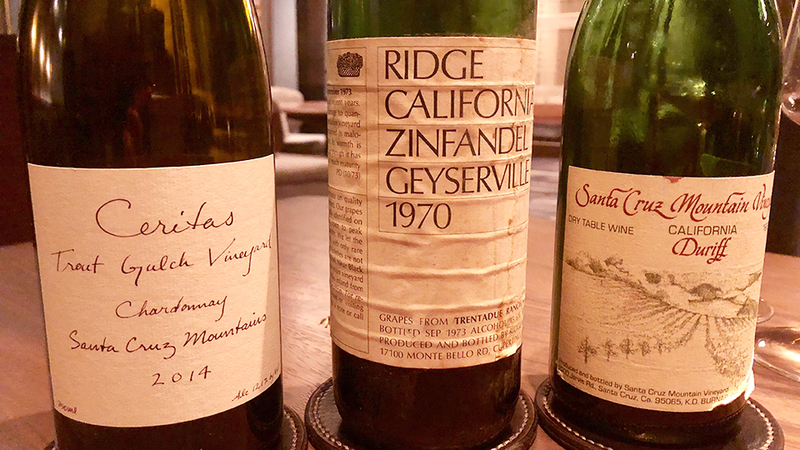 It is no secret that Ridge wines age with extraordinary grace, so I am not surprised to see the 1970 Geyserville showing so well. The 1970 is so expressive on this night, with lovely fruit and the freshness that allows Zinfandel to develop so well in bottle. The 1982 Santa Cruz Mountains Vineyard Duriff (Petite Syrah) is a wine I have never tasted. Varietal and nuanced, yet naturally also mellowed by the passage of time, the Duriff has the textural and flavor profile to work beautifully with this food. It is another inspired choice from Wine Director Evan Hufford. With that, the evening starts to wind down. Reservations are essential at SingleThread and must be pre-paid with the ‘ticket’ system that is now used by many top-flight restaurants in the United States. Personally, I am not a fan of this approach. The stated policy “Just like a sporting event, concert, or theater booking, all bookings are final and cannot be canceled or rescheduled. However, bookings of all types are always transferable. You can review and/or transfer your confirmed dining bookings from your Tock Profile,” the first sentence in particular (italics mine), is a bit rigid. I am acutely aware of how tight the margins are in fine dining. 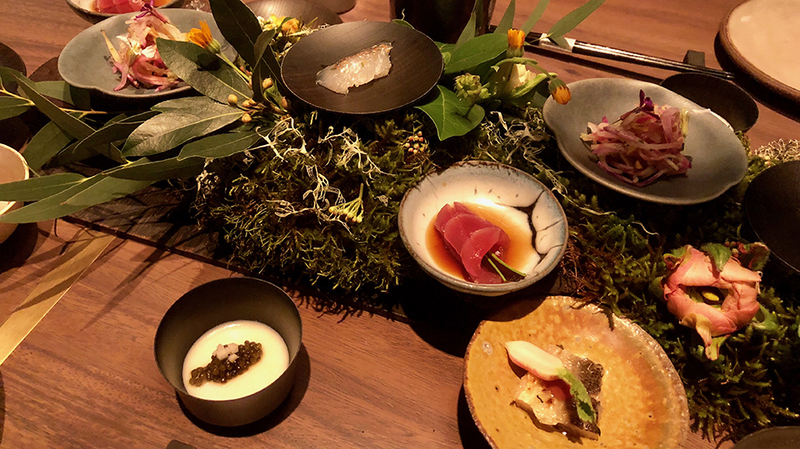 Still, with an eleven-course tasting menu priced at $295 per person, some degree of advance notice for cancelling or rescheduling reservations should be possible. 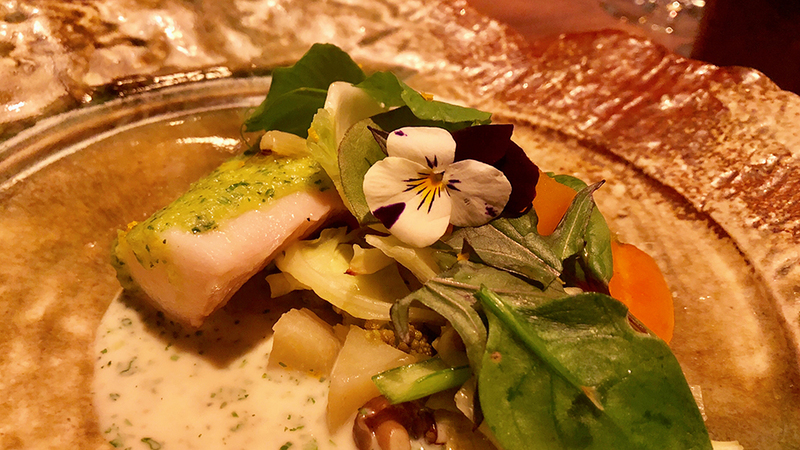 Although not inexpensive by any means, SingleThread is one of those restaurants where it is best to just enjoy the experience of being totally pampered, and not think about money. After all, when done right, experiences are truly priceless, as is the case on this night, when everything is as close to perfect as one could reasonably hope for.